, De Quinto said: “TV is still very, very critical for our business” and that while the drinks giant is trying to make its company digital, this doesn't mean just putting ads on social media. A presentation slide showed that Coca-Cola's TV investment delivered an ROI of $2.13 per dollar spent compared with $1.26 for digital. Another slide stated that social media is the strategy for those who don't have a true digital strategy. De Quinto stressed that Coca-Cola wasn't planning to ditch digital marketing or cut its budget, rather it needed to spend digital in a smarter way, such as consolidating or trimming the 300 apps it had worldwide to focus on apps that had a strong audience or purpose. Coke will undergo a global digital transformation to align its global operations around a single “digital marketing agenda”. 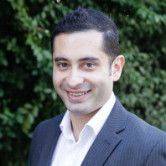 This will be led by a new chief digital marketing officer, David Godsman, a former Bank of America executive who joined on 5 December. 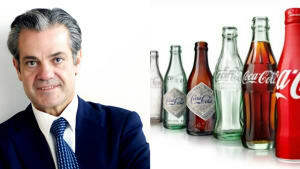 Coca-Cola also announced that global chief operating officer James Quincey will become CEO on 1 May as current boss Muhtar Kent steps down. De Quinto's comments come in the wake of Facebook revealing for the third time it had misreported metrics uncovered by an internal review, raising further doubts about whether advertisers are getting what they pay for on digital channels. This included the wrong allocation of reactions on streaming video, a discrepancy between Like and Share counts on mobile search and a change in the way it calculates potential and estimated reach and potential audience size. Coca-Cola's global CMO Marcos de Quinto has issued a robust defence of TV advertising, telling a beverage industry event in New York that it offered the best return on investment and the company needed a new approach to digital marketing. According to the US trade publication Ad Age, De Quinto said: “TV is still very, very critical for our business” and that while the drinks giant is trying to make its company digital, this doesn't mean just putting ads on social media.